SH88 realignment: decision to Environment Court? 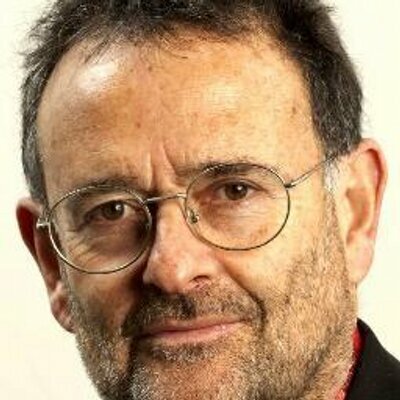 The Dunedin City Council has until Friday to determine whether it will make a decision on the controversial designation of land for the realignment of State Highway 88 near Dunedin’s Forsyth Barr Stadium – or hand the responsibility for the decision to the Environment Court. To opt for the latter would be a first for the council, which is both the authority requesting the land be designated, and the authority that would require it to be designated. It publicly notified the requirement for the land last month, after a previous non-notified designation was quashed by the court following the council’s admission it had not followed the proper consultation process. The new road has been built, but final measures including traffic lights have been in limbo while the designation issue is resolved. Mr Hall has already indicated publicly he would ”fight” the proposed designation as notified because it still did not provide safe access to his property. One of the affected landowners, Doug Hall, who is running for the DCC, took the council to court to argue the original designation was illegal because he was not notified as an affected party, and sought an injunction stopping the traffic lights from being switched on until the resolution of safety issues at that intersection and around access to his property as a result of the realigned road. Affected parties, including Mr Hall, were consulted on the new designation late last year, and again earlier this year after the notification of the requirement was delayed while negotiations with Mr Hall continued. The council had received 13 submissions by Friday, the end of the submission period. Submitters included the University of Otago, Port Otago Ltd, the NZ Transport Agency, the Otago Regional Council and several heavy transport companies among others, but not Mr Hall, or his representatives. 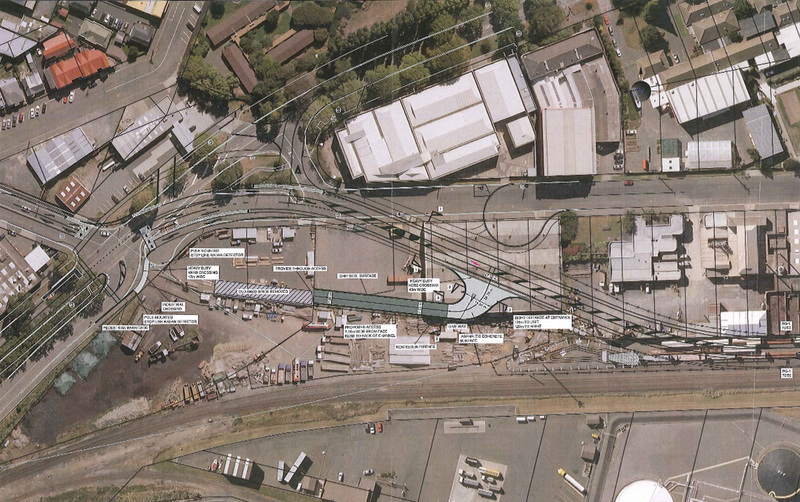 Submissions from companies owned by Doug Hall, one of the parties affected by the realignment of State Highway 88 in Dunedin, were received by the Dunedin City Council within the statutory timeframe and will be included in the process for designating the land for realignment. The submissions from Anzide Properties Ltd, Hall Brothers Transport Ltd, and Dunedin Crane Hire (2005) Ltd were received by deadline on Friday, but were not processed until yesterday. 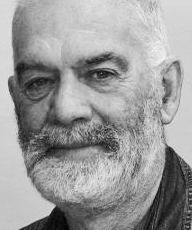 Dunedin businessman Doug Hall remains defiant after the Dunedin City Council confirmed it was revisiting the designation process for an affected area of State Highway 88. Yesterday, the council announced it had lodged a notice of requirement to restart the designation process, after negotiations stalled following a botched handling of the original process. DCC general manager infrastructure and networks Tony Avery said the section of road had not been legally designated and the council acknowledged it had made process mistakes when trying to designate it earlier. Last year, the Otago Daily Times reported the council had spent $485,000 over 18 months to try to find a solution, and it was too early to say how much the designation process would add to the final tally. ● Submissions on the notice of requirement, which is publicly notified today, close on August 30. This item was published on 02 Aug 2013. The Dunedin City Council has lodged a Notice of Requirement to start afresh the designation process for the section of State Highway 88 near Anzac Avenue. The Notice of Requirement is a formal process to have land designated as road. It will be publicly notified tomorrow. DCC General Manager Infrastructure and Networks Tony Avery says the new section of SH88 has been in use since July 2011, but has not been legally designated. The DCC has previously acknowledged that it made process mistakes during an earlier attempt to designate the road. Temporary traffic controls have been in place since the new section of road was opened, while the DCC negotiated with an adjacent landowner over access arrangements. 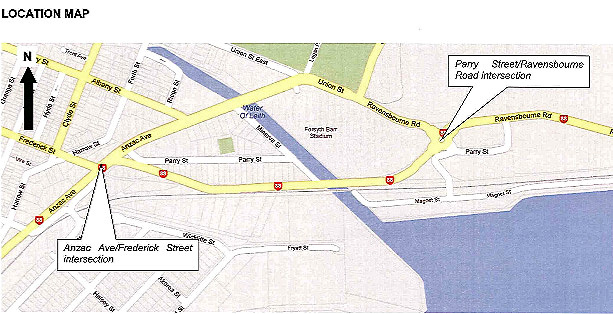 Once the designation proposed is approved, traffic lights at the intersection of Anzac Avenue and Frederick Street would be activated, and the Ward Street bridge ramp would be re-opened to provide much-needed access to the Harbourside area, Mr Avery says. Access to the adjacent properties is to be provided as well, consistent with acceptable standards and in a safe manner. The DCC is confident the changes are in the best interests of the public. Submissions on the Notice of Requirement will close on 30 August. The Notice of Requirement seeks to designate two areas of land. 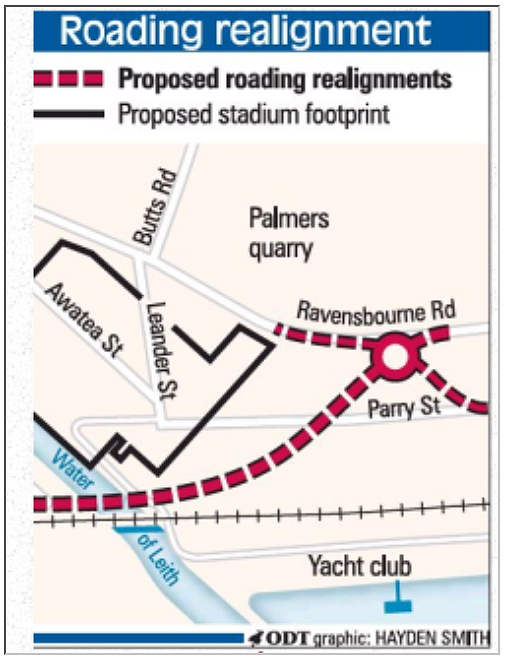 Designation 1 is for part of the Dunedin Harbourside Arterial and will link Anzac Avenue (D465) with Ravensbourne Road (D845) to the south of Parry Street West. 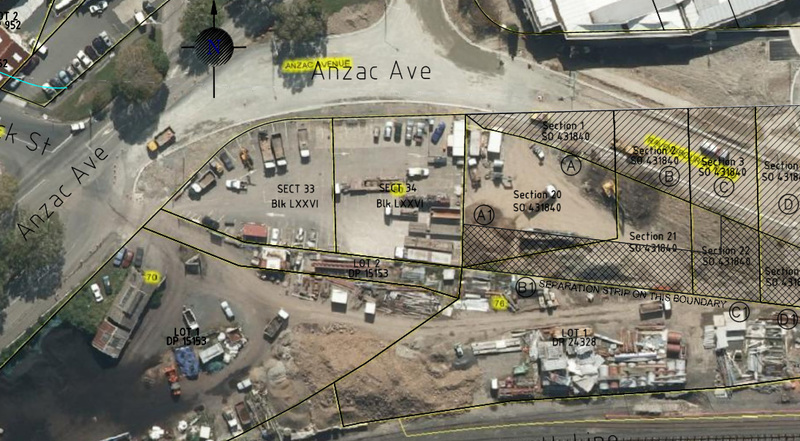 Designation 2 is for the Dunedin Harbourside Arterial – Access Road which will provide access from the Designation 1 area to the site at 80 Anzac Avenue. A High Court decision has slammed Dunedin City Council’s (DCC) handling of a roading realignment in the city, ordering the cash -strapped authority to pay affected parties more than $185,000 in costs. Justice Alan Mackenzie indicated in a written decision the legality of the stretch of State Highways 1 and 88 through the city remained in question because of the council’s botch up. Concerning the State Highway 88 realignment, skirting the new stadium. A High Court decision has slammed Dunedin City Council’s (DCC) handling of a roading realignment in the city, ordering the cash-strapped authority to pay affected parties more than $185,000 in costs. Justice Alan Mackenzie indicated in a written decision the legality of the stretch of State Highways 1 and 88 through the city remained in question because of the council’s botch up. 12.2.09 DCC, and the right to ask?